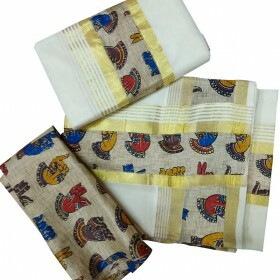 Change the fashion to fit you by wearing traditional. 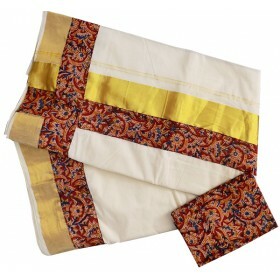 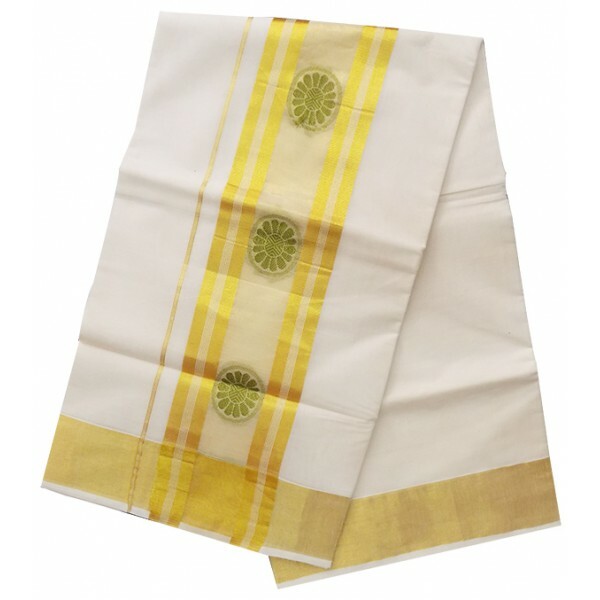 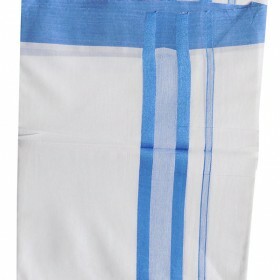 Here is a Kerala traditional simple kasavu saree with golden kasavu. 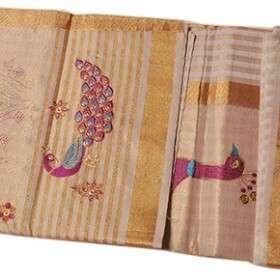 Simple work makes the beauty of the saree. 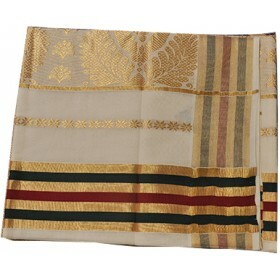 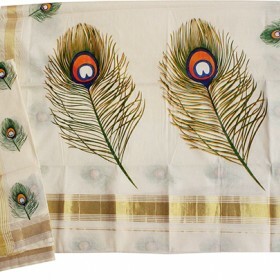 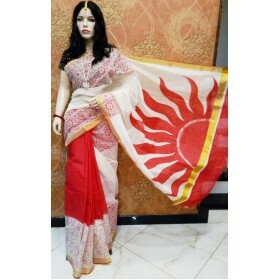 Golden kasavu with the flower design in the pallu. 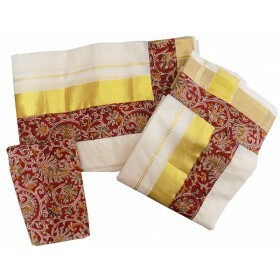 Small two kasavu borders is there in both the sides of flower design. 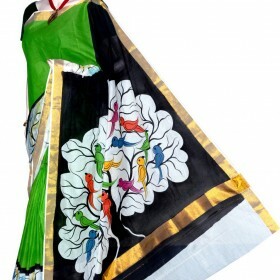 Running blouse pieces attached with it.